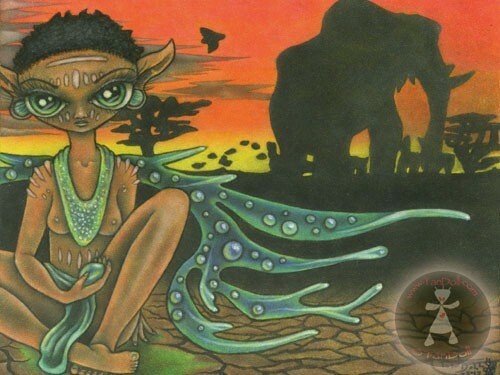 This piece shows a faery bringing rain to the parched areas of Africa. She has scarification, something I find beautiful in real life. The usual colored pencil technique.